Our Atlanta video crew, Brent Ebell, worked with NASCAR to highlight an extraordinary doctor and humanitarian. For the past seven years, NASCAR has been awarding the Betty Jane France Humanitarian Award to people who embody the ideals of philanthropy and creating a better world. This year’s winner has gone above and beyond to make sure his autistic son and other disabled children have the ability to interact with the world. 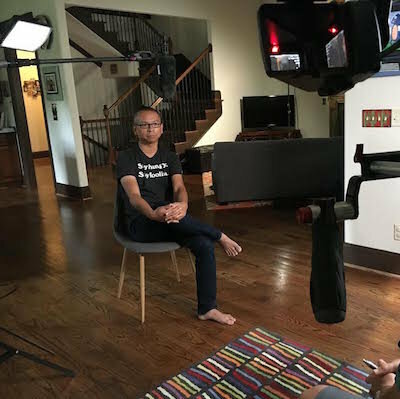 Our Atlanta video crew went to Birmingham to interview Dr. Julian Maha about his non-profit KultureCity. 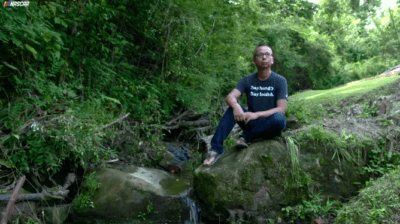 KultureCity was created to help his son engage with his environment since it’s often difficult and overwhelming for children with autism to process new and loud environments. Working with the NBA, NFL, NHL, NASCAR, and zoos across Alabama and the US, Dr. Maha has been able to make sports and other events inclusive of children with disabilities. Noise-cancelling headphones, sensory rooms, and weighted lap pads used for calming are now available in many arenas and zoos. Each family KultureCity works with is also given a lifeBOKS, which contains an ID to help parents keep track of kids with a tendency to wander. Dr. Maha has put a lot of thought and energy into his foundation and the effects are incredible. His organization was voted the Top Non-Profit in Alabama and one of the Top-10 Non-Profits by Microsoft. KultureCity has helped over 100,000 individuals with sensory issues so far and Dr. Maha has no plans of stopping until everyone is educated on inclusivity for autism. It was such an honor to be able to interview the man behind these inspiring and incredible efforts. Congratulations Dr. Maha, we can’t wait to see how far you go. Thank you for sharing his story, NASCAR.